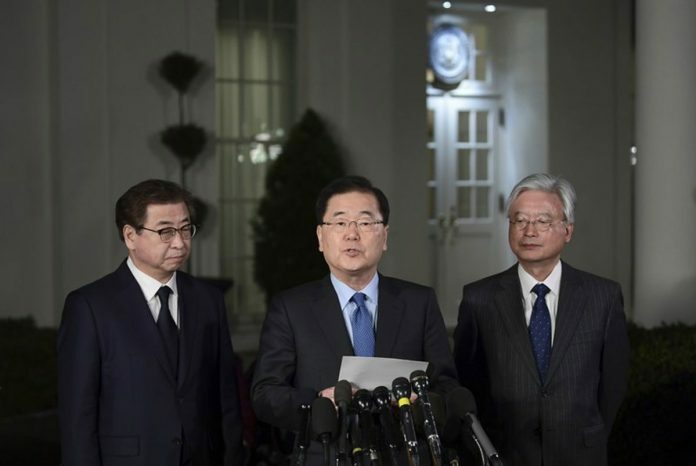 After months of trading insults and threats of nuclear annihilation, President Donald Trump agreed to meet with North Korean leader Kim Jung Un by May to negotiate an end to Pyongyang’s nuclear weapons program, South Korean and U.S. officials said Thursday. No American president has ever met with a North Korea leader. South Korean delegates are at the White House briefing officials on the outcome of their pathfinding meeting with North Korean leader Kim Jong Un.